New York State’s so-called millionaire tax, extended three times under Governor Andrew Cuomo, is scheduled to expire at the end of next year. The added tax generates roughly $4.5 billion a year, about 9 percent of net personal income tax revenues, making New York more dependent than ever on the highest-earning one percent of its taxpayers. Whether we like it or not, New York is now dangerously reliant on a handful of taxpayers—the highest-earning one percent of New Yorkers pay more than 40 percent of the state’s income tax, up roughly 15 percent since Mario Cuomo left office. The problem is more acute when one considers that much of the state’s personal income and many of the state’s highest-earning jobs are concentrated in financial services, which supports over 450,000 or almost 10 percent of jobs in New York City. With advances in technology, these jobs are ever more mobile. Maintaining uncompetitive tax rates makes it more likely that high-income earners who are already facing the loss of SALT deductions will leave our state, taking their tax dollars with them. In addition to increasing the risk of income and capital flight, the state’s top-heavy revenue base is exceptionally volatile and thus vulnerable to extreme negative swings during the next economic downturn. But Molinaro’s plan leaves out a crucial detail—it doesn’t say exactly when the sun should set on the millionaire tax. Nor has he provided a multiyear financial crosswalk showing how he could dispense with the high-earner surtax while also enacting the hundreds of millions of dollars worth of other state tax cuts he’s proposed, all while beginning to have the state assume the remaining local share of Medicaid costs. Cuomo, meanwhile, has been noncommittal on whether he’d seek to extend the millionaire tax. As explained below, the governor’s latest financial projections show he won’t need to extend most of the temporary tax, as long as he adheres to a self-imposed 2 percent cap that (with an assist from some timely fiscal gimmickry) has been the centerpiece of his fiscal agenda since his first term. Under permanent law, New York’s top personal income tax rate has been set at 6.85 percent since 1997. In 2009, then-Governor David Paterson and the Legislature agreed to a package of temporary tax hikes that raised the top rate to 8.97 percent on filers with taxable incomes above $500,000, and to 7.85 percent on single filers earning at least $200,000 and married joint filers earning taxable incomes of at least $300,000. These increases were scheduled to expire at the end of 2011. During his first gubernatorial campaign in 2010, then-Attorney General Andrew Cuomo expressed opposition to the tax. “I was against it at the time, and I still am,” he said. “It’s a new tax. It was supposed to sunset. If it doesn’t sunset, it’s a tax.” He stuck to that position through most of his first year in office, comparing it at one point to his father’s principled opposition to the death penalty. But near the end of the year, with state revenues falling short of projections and “Occupy Wall Street” (and “Occupy Albany”) demonstrators demanding higher taxes on the wealthy, he changed that position. In December 2011, Cuomo cut a deal with Senate Republicans and Assembly Democrats to temporarily extend a top rate of 8.82 percent on filers earning at least $1 million if single or $2 million if married, combined with temporary tax cuts in what were deemed “middle class” brackets (under $300,000). 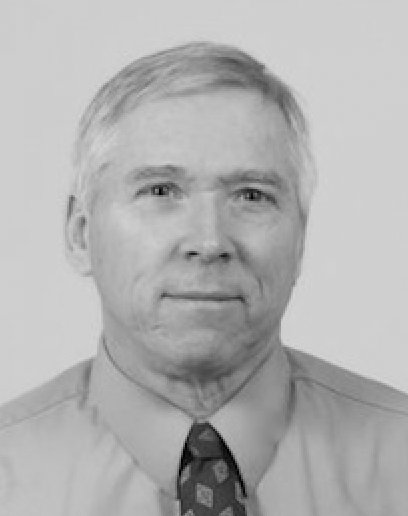 In 2013, nearly two years before the next scheduled sunset, he and legislative leaders struck a backroom budget deal to extend the temporary tax changes for another three years. In 2016, the middle-class tax cuts in the 2011 plan were permanently enacted. And in 2017, the tax rate on millionaire earners was extended a third time—this time for two years, ending in 2019. Turn now to the Budget Division’s First Quarterly Update to the FY 2019 Financial Plan, specifically the multi-year state operating projections on page 62 of that report, which was issued in August. The numbers at the bottom of that table (screen-cap below) indicate that, if annual spending growth is held to 2 percent, the state will face revenue shortfalls of $780 million in fiscal 2020, $1.4 billion in fiscal 2021, and $487 million in 2021. Based on current revenues, the gaps projected on the “Adherence to 2% Spending Benchmark” line could be closed with extended millionaire tax rates of about 8 percent in 2020, and just above 7 percent in 2021. The natural next step in such a phase-down would be to eliminate the tax entirely and revert to the permanent law top rate of 6.85 percent in 2022. So Molinaro has more explaining to do. Based on current fiscal projections, if he wants the sun to set on the millionaire tax at the end of 2019, he must be committed to reducing annual spending growth below 2 percent (roughly 1.2 percent in FY 2020 and 1.4 percent in the following two years would cover it). The alternative is to gradually phase out the tax rather than end it all at once. The phase-out would be slower if spending is allowed to increase 3 percent. That leaves Cuomo having it all ways on this issue: (a) refusing to say what he’s inclined to do, while (b) allowing his campaign to denounce Molinaro’s proposal as a Trumpian tax cut for the wealthy, and while also (c) directing the Department of Taxation and Finance to come up with a SALT work-around designed primarily to benefit New York’s fiscally crucial segment of multi-million-dollar earners in law and finance. Click here to see a list of past NYTorch.com posts delving into the history and impact of the millionaire tax. These NYTorch posts focus on focus on how the governor reversed his position on the extension of the millionaire tax during his first year in office. 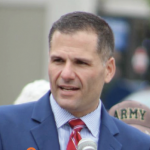 * In addition to ending the millionaire tax, other Molinaro tax proposals previously championed by the Empire Center include inflation indexing of income tax brackets, reform of the state Estate Tax and an increase in the child tax credit, to be financed by repeal of the sales tax exemption of clothing. NY's temporary millionaire tax is due to expire 12/31/2019. Republican @MarcMolinaro says let it sunset, but doesn't say when.